Nothing says "convention" like wearing full suits of armor in 100-degree heat. Last weekend, thousands of gamers, anime fans and all-around nerds descended on Baltimore's Inner Harbor for the 18th annual Otakon anime convention - the second largest convention of its type in North America. Naturally, the place was packed with people watching the newest licensed shows, dealers hawking giant robot models and just-shy-of-pornographic posters - and lots and lots of fans wearing costumes from their favorite series, no matter how obscure (or how popular). Fans dressed in outfits from every part of the geek spectrum - anime, videogames, fantasy novels, you name it - and here are just a few of the many cosplayers from Otakon '11. 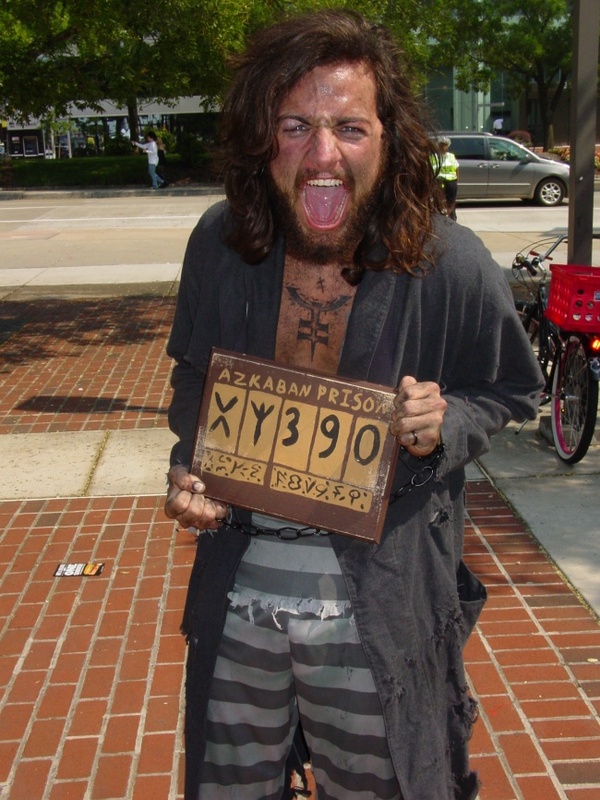 Harry Potter's Sirius Black escaped from Azkaban to wind up in Baltimore. We think he might want to go back.